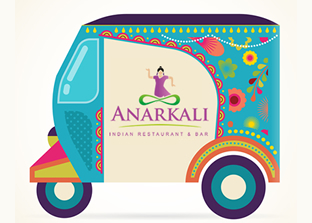 Anarkali has been established since 1982, making us Dunstables oldest and finest Indian restaurant. Having recently celebrated 33 years in business, our new refurbished restaurant offers a selection of India’s finest cuisine, combined with a relaxing and atmospheric dining experience. 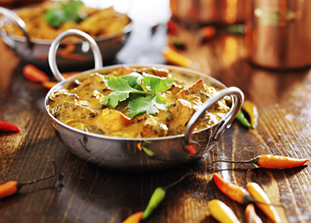 Come and try our new exciting dining in & takeaway menu with unique signature dishes, bringing you a true taste of India all in a stylish yet Indian desi surroundings and welcoming staff. 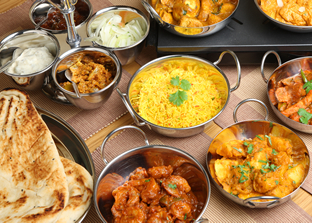 Anarkalis new menu brings you dishes from different regions of india concentrating on market eating and street food a true taste of home cooking of India. All our dishes will be prepared with fresh ingredients, freshly made to order, with no food colouring or additives.